Hitsugaya. this is such a cute picture!!! :D i luv it so i just had to put it on here!!! I DID NOT MAKE THIS NOR DO I TAKE CREDIT FOR IT!!!!!!!!. HD Wallpaper and background images in the toushirou hitsugaya club tagged: bleach toushirou hitsugaya anime cute. 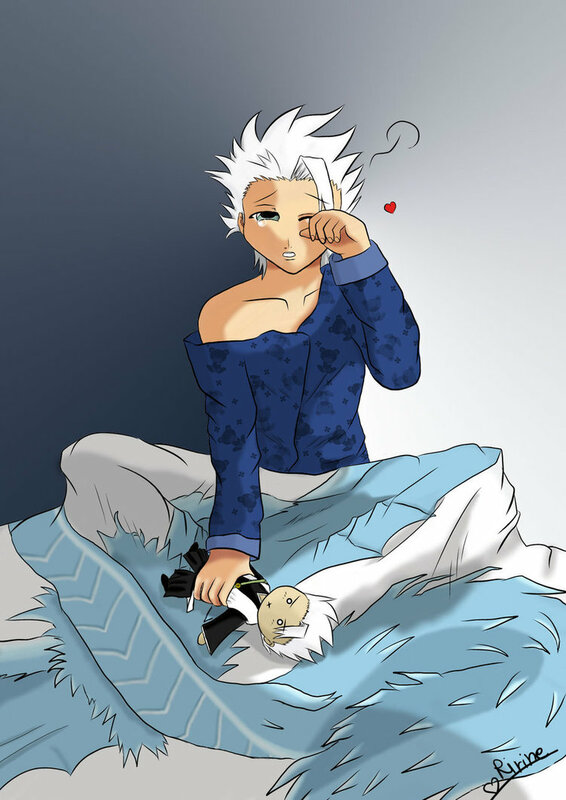 This toushirou hitsugaya fan art might contain anime, komik, manga, and kartun. toshiro: huh where am i? me: my room....did you sleep well? toshiro: why my gigai? did i get hurt? wait whys he holding a plushy?